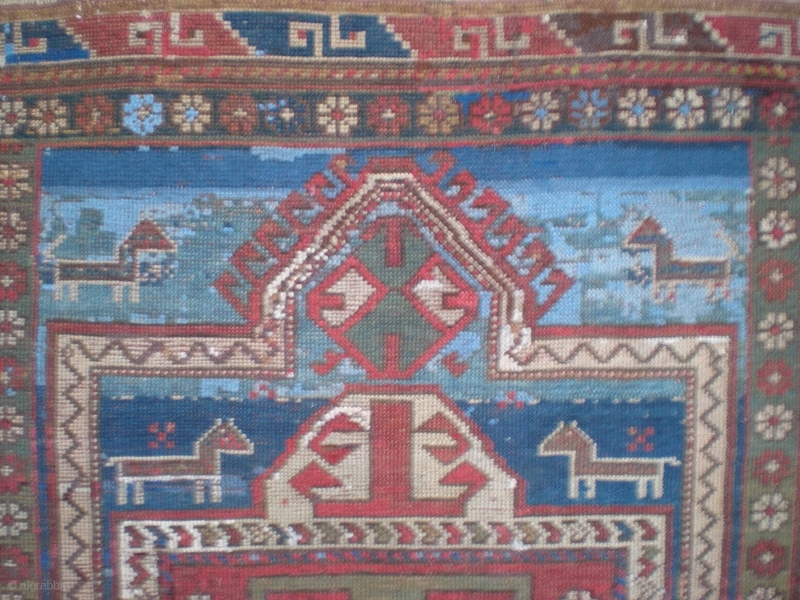 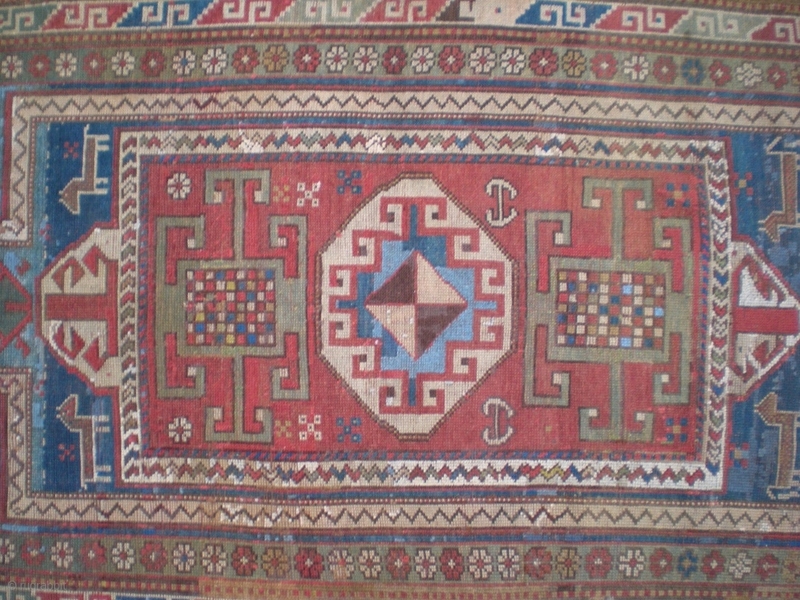 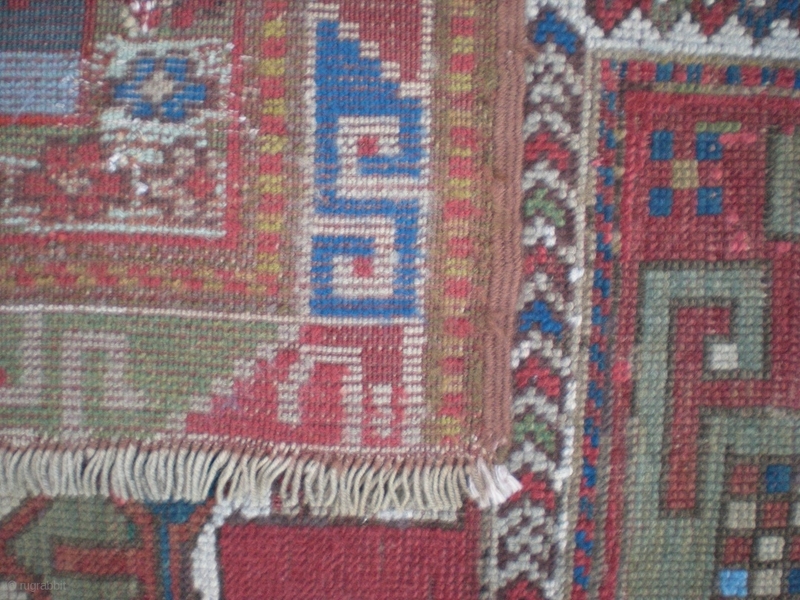 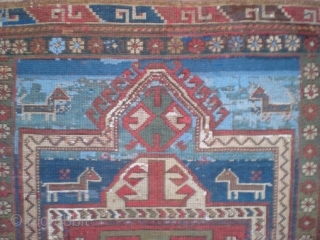 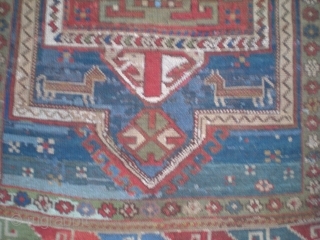 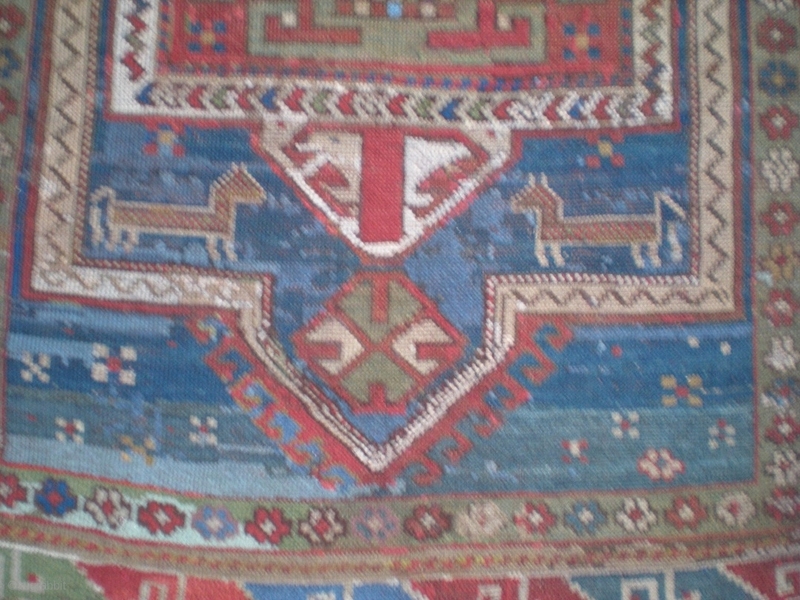 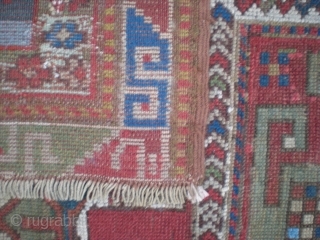 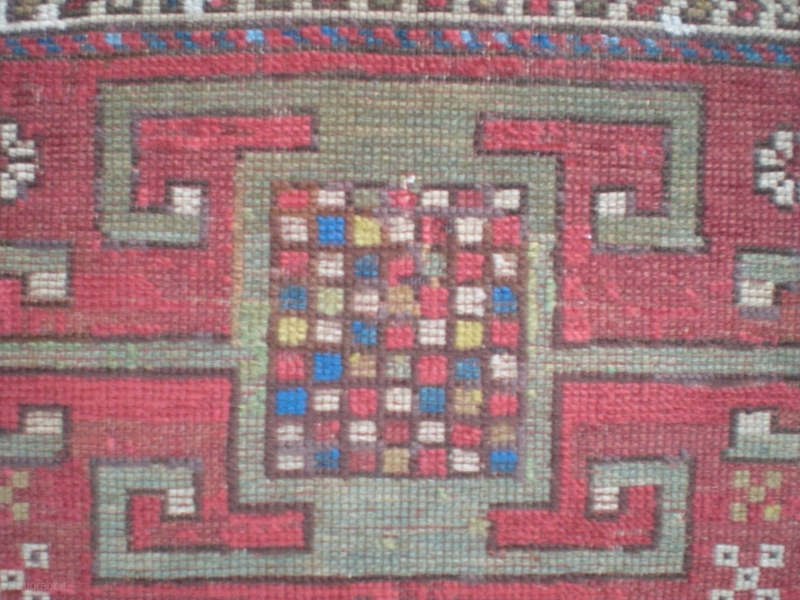 Caucasian Kazak double niche prayer rug, fully restored, full & even pile, unique abrash. 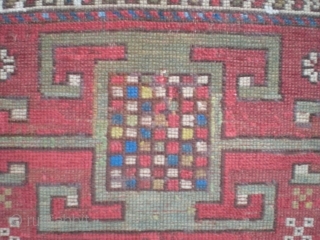 Circa late 1800's-1900; colorful & interesting piece. 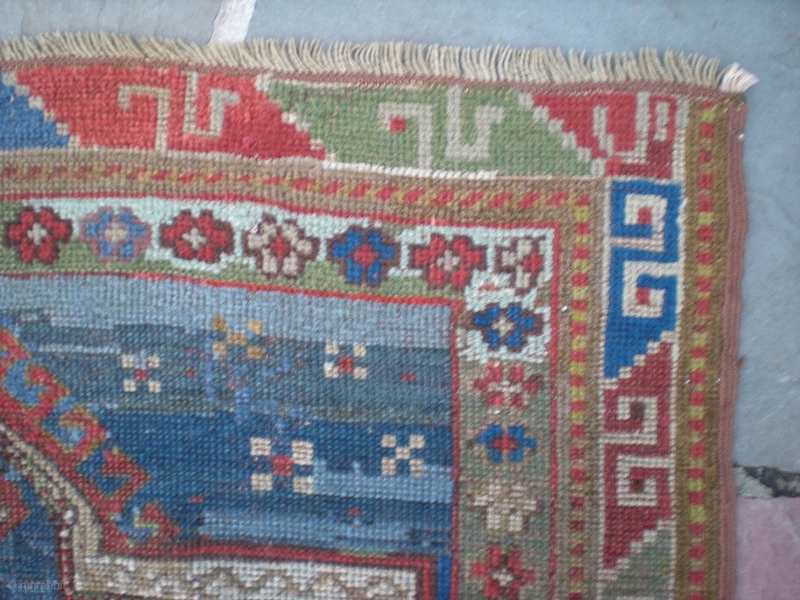 Very usable on floor, or warm & striking wall piece. 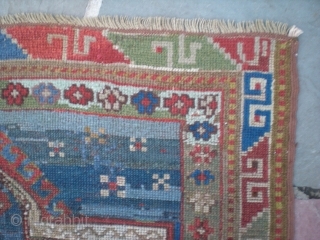 Size is 3' 4" x 5' 10" More pics available. 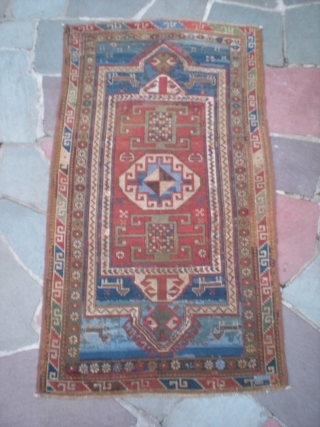 Very well priced at $950 firm.